Families who own real estate in Weathersfield, VT, have the pleasure of enjoying some of the most beautiful landscapes in New England. Established in 1761, this beautiful, small community has close ties to the nation’s colonial origins, beginning as a rural community and developing with the boom of industry. Among other sites, we particularly enjoy Mt. Ascutney State Park, Stoughton Pond, and the Reverend Dan Foster House. The Mt. Ascutney State Park, which spans across both Weathersfield and Windsor, VT, offers breathtaking views and exciting opportunities for activity, including hiking, camping, and even hang gliding for the true outdoors enthusiast. From the 3,150 ft. summit, hikers and picnickers can take in a sight of this beautiful town, as well as the lush, verdant vegetation surrounding. If you prefer to spend your days soaking up the sun, Stoughton Pond is the perfect place for you and your family. Minutes away from any home in Weathersfield, VT, Stoughton offers a number of sites for picnicking near the water, as well as a swimming area and boat ramp. The waters are swimming with trout and bass, making this location the perfect spot for a full-day outing. Weathersfield offers a number of historical sites as well, the most notable being the Reverend Dan Foster House where the Weathersfield Historical Society convenes. This museum contains a library, a blacksmith’s shop, a children’s area, and even a genealogy area. Learn about your own historical roots as you tour this beautiful building, constructed during the Civil War and dutifully preserved since then. Real estate in Weathersfield, VT gives residents access to beautiful surroundings, enjoyable activities, and a great deal to learn. 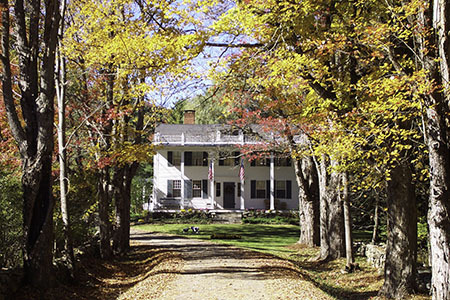 Come and take a look at some of the most picturesque views of New England. 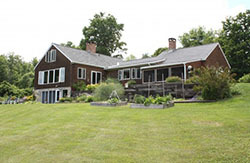 Click away to view available homes in Weathersfield, VT.